We're headed up the lake for some well deserved rest and relaxation after a few days in town. We got to see the Kings win a hockey game and two fights, so it wasn't all bad. I'm sure there'll be lots of stories when we get back in Internet range. 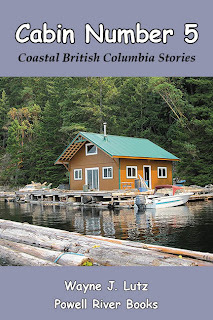 Our cabin on Powell Lake inspired Wayne to write the Coastal BC Stories series. You too can head Up the Lake and Farther Up the Lake through his books. Yesterday you read about our new Yardworks 4-ton electric log splitter. Wayne and John talked about whether or not our Coleman 1850 watt generator would power the unit. They agreed it would be on the ragged edge. When we hooked it all up, the Coleman just didn't have enough juice to get the splitter's engine to turn over. The next day, John came back with a rented Honda 2800. That did the trick and we got our stack of logs split. That same day, John brought a clipping from the Canadian Tire add for a Mastercraft 3300 watt generator. It was on sale for $297. Wayne went down the lake to town the next day to get the last one in the stock. It was heavy, but Wayne got it into the truck, down the dock to the boat, and up to the cabin. I gave a little assistance, and we put it in the back of the Gemini writer's retreat. That's a handy location to power the splitter on the wood float and anything extra needed on the cabin's back deck. It also adds some extra ballast for the Gemini that no longer has an engine. Last weekend we had our first fall rainstorm. Basically, we've been pretty dry for about two months. Sunday evening, just at sunset, there were some breaks in the clouds just at the Island Princess was arriving from Texada Island. It didn't last long, but the colours were spectacular. Even the sea turned a shade of purple. When we're in the Powell River condo, we keep our eyes on the Strait of Georgia. From our waterfront location, it's almost our front yard. Last week we saw a red boat heading our way. As it got closer, it was evidently a Canadian Coast Guard ship. 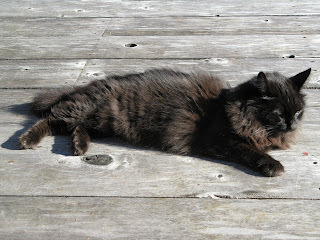 Her name's Vector, is registered in Ottawa, but has the home port of Patricia Bay in BC. She's a mid-shore science vessel that does hydrographic surveys along the Canadian pacific coast. It was approaching dark. First she launched her Zodiac to investigate our wharf. After retrieving her inflatable, she approached from the south (with the prevailing wind), and snugged right up against the pier. Here she spent the night, but was gone by morning. Now that winter is near, we want to make sure our float cabin is ready for heavy winds. During my first solo trip to the cabin in 2001, one of the worst storms hit. The winds were so strong they broke two of our steel anchor cables (Up the Lake, Chapter 4). Now we've made some improvements. Of course, our good friend John did the work (with a little help from Wayne). He installed double cables at the critical end points. Both are attached to the granite wall half way between the high and low water mark. A year ago, one of the double cables broke. We've been waiting for low water ever since to reach the attachment point. After John installed a new (shiny steel) cable, he noticed that the loop of the other cable was frayed at the anchor bolt. There was enough slack for a repair. First they tied off the cable so it wouldn't fall in the water. Then John used a grinder to remove the rusted cable clamps. Using muscle power, they pulled the cable up to a better spot. Then John used new cable clamps to make a loop through the anchor bolt eye. I loved it when my dad would tell me this nursery rhyme at bedtime. And that's what came to my mind as it was time for my garden to go to bed for the winter. It hasn't rained for two weeks, so the soil was dry and soft, perfect for what needed to be done. I have two small asparagus beds (about 1' x 3') at the ends of my float garden. In spring, they produce nice sized spears. In summer, the tall ferns give my other plants some shade. I cut the fern stalks about 2" above the ground, saving the tops of the fronds. I put them on top of the cut stems. We get some freezing temperatures, including light snow. The fern tops insulate the soil to protect the asparagus roots. I also removed a bed of strawberries. My space is so limited, I can't spare it for something that doesn't produce. I kept the strawberry leaves and added them on top of the fern fronds. They will increase the insulation and give added soil protection. And through the winter they will break down and become a layer of compost to replenish the soil by spring. Lastly, I covered the strawberry leaves with soil from the garden. It will help hold everything in place during rains and wind until the organic matter starts to break down. It's the end of the season for my asparagus plants. Last spring, they provided tasty spears. Over the summer, they grew into large ferns. This replenishes the roots for the following season. If well cared for, an asparagus bed can last twenty years. Some plants have bright red berries in the fall. That's because some are female and others male. The female plants produce the berries filled with asparagus seeds for another generation. After one of the longest lasting summers that I remember here in Powell River, we finally have our first major storm. In fact, there are three scheduled to hit this weekend in waves only hours apart. The first was fairly mild with a good soaking of rain. The next two are supposed to blast in with high winds. I grow potatoes in pots on the deck. When it's time to dig them, I get out my spud gloves. Actually, they're latex gloves I buy at the drug store. I have a hard time working in regular gardening gloves. They're too bulky for me to feel what I'm doing. The thin latex ones (or nitrile if you have latex allergies) feel almost like a second skin. Yes, I do sweat inside, but once I'm done digging I can peel them off and my fingernails don't end up caked in crud. When I dig in the garden bare handed, it takes days of scrubbing to get my hands clean. Now a good washing with soap and hot water does the trick. This popular post about Boulevard Park in Bellingham, Washington, has been updated and moved to Margy Meanders. I was standing at the kitchen sink and saw something swimming towards me. I guessed Merganser ducks since they are quite common, but when I got the binoculars, much to my surprise, it was three River Otters heading my way. They swam at a fast pace, quickly dove under the log boom surrounding our cabin's water lot, and then under the cedar log float. I didn't want to scare them, so I walked as quietly as possible to get my camera and go outside. I could hear them underneath splashing around and making soft grunting sounds. One almost came out, but when I moved he ducked back under the cabin's float. We played "cat and mouse" for over half an hour. But when I was out back, they slipped out the front. Before I could get there, they were outside the breakwater and heading away. This has been an incredible fall up the lake. I guess you would call it an Indian summer. We've had more warm weather than I can remember for late September and early October. And the winds have been calm. This was a perfect day looking down Powell Lake from the logging road between Hole in the Wall and Chippewa Bay. Even though the days have been warm, the nights are getting longer and cooler. We don't need it every day, but last week we had the first fire of the season. Wayne and I went for a quad ride last week. We were searching for a steam donkey, but ended up missing the right (or left) turn. But any ride around Powell Lake is a good one. There's always something new to discover. This trip it was a new kind of mushroom. It's only sprinkled lately, but it must have been enough to encourage the growth of a small patch of Shaggy Mane (Coprinus comatus) mushrooms. They weren't familiar, so I went back to the cabin and used The Savory Wild Mushroom by Margaret McKenny and revised by Daniel E. Stuntz (University of Washington Press, 1962, 1971) to figure it out. This was a great guide book I found at the thrift store for $.50. It's still available in a newer paperback version at Amazon.com. Here's the description from the book. Cap: white and gray covered with fluffy scales, standing erect like a closed umbrella on its handle, spreading with age, four to twelve inches in height; flesh white at first, then darkening. Gills: white shading to pink, in flat folds against the stem, turning black with spores and melting into a black fluid. Stem: white, hollow with small movable ring, slightly thicker at the base, four to ten inches in length. When and where found: Spring or fall after rain; in the open, on the ground, in gravel by roadsides, near garbage dumps, or in decaying sawdust near old logging roads. Remarks: A well-known, edible mushroom of good flavor and consistency if gathered when young. Easily distinguished from the similar inky cap by its height and fluffy scales. Funny how things build on each other, especially in the media. After some international coverage, Kierra from the Powell River PEAK contacted us about an article. Shortly after that, Mark Nicholls from the local radio station called about an interview. 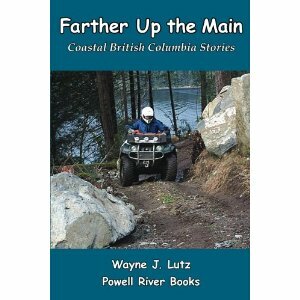 Wayne was on with Mark two mornings last week talking about his latest books. 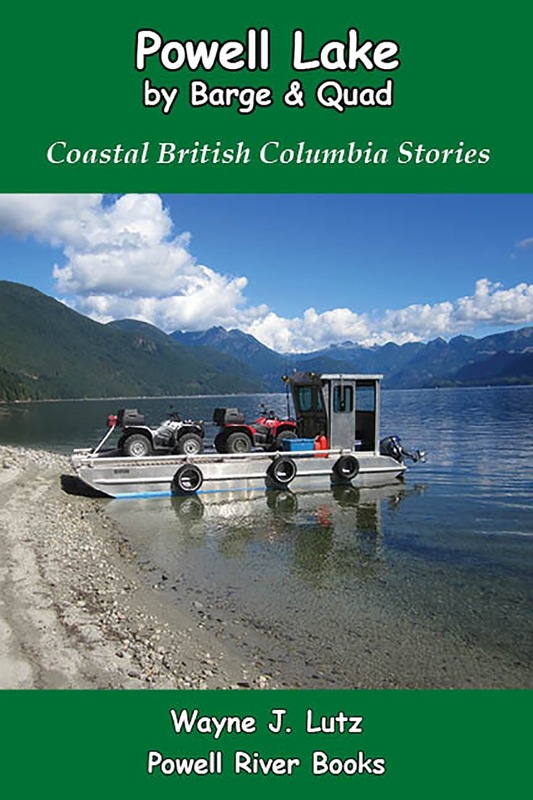 Off the Grid is part of the Coastal BC Stories series. Anomaly at Fortune Lake is science fiction in a setting much like our Powell Lake. If you would like to listen to the audio clip of the two interviews, click here. Want to hear what our local radio station is like? Click here to have a listen. Here's more information about Wayne's two new books. 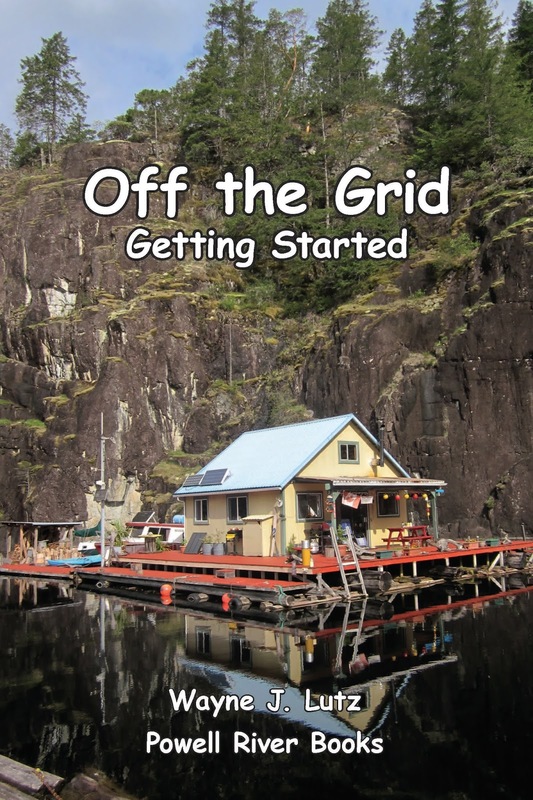 Off the Grid -- The newest book in the Coastal BC Stories series tells about living off the grid. We were true city-folk when we bought our cabin, but have learned how to generate our own power, use propane for appliances, maintain a kitchen garden, live in harmony with nature, and exchange our hectic lives for a more simple lifestyle. If you've ever dreamed of living away from town in an off-the-grid cabin, you'll enjoy this book. 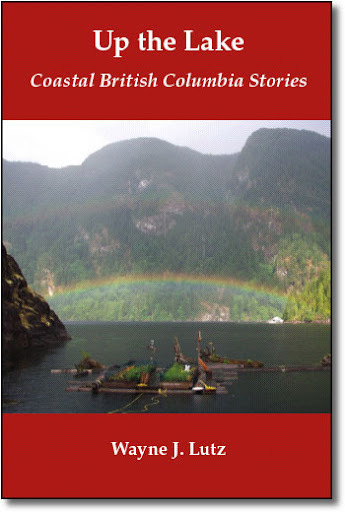 Anomaly at Fortune Lake -- On a remote lake in Canada, Ashley and Justin live off-the-grid. But their idyllic life is interrupted by two mystifying anomalies. A distant galaxy exhibits unusual characteristics in Justin's amateur telescope, and something under the lake is stirring. Can a determined woman bring clarity to the events that are rapidly unfolding?